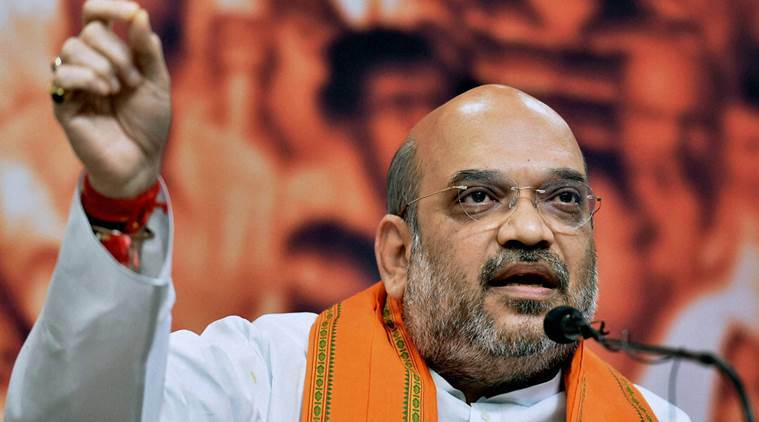 BJP president Amit Shah Tuesday said “if anyone attempts to tamper with the boundary, a befitting reply will be given”. Claiming that the country’s border is far more secure under the NDA government than during the rule of the UPA, BJP president Amit Shah Tuesday said “if anyone attempts to tamper with the boundary, a befitting reply will be given”. “But things have changed in the last two-and-a-half years. Now the world has understood that they cannot tamper with the boundary of Hindustan. If anyone attempts to tamper with the boundary, a befitting reply will be given,” he said. The BJP president described Punjab as the the land with the “legacy of self-sacrifice… evident in every war, be it 1962, 1965, 1971 or Kargil”. He said “Punjabi soldiers made us proud” with “unparalleled sacrifices for the sake of the motherland”. “I also pay homage to our great heroes like Shaheed Bhagat Singh, Shaheed Udham Singh, Lala Lajpat Rai and others…,” he added.